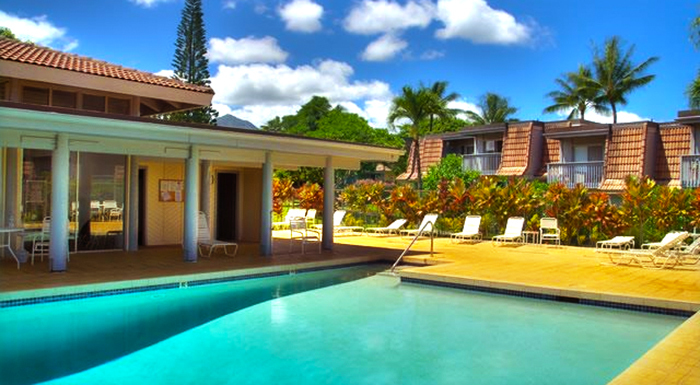 Vacation Rentals on Kauai's North Shore. 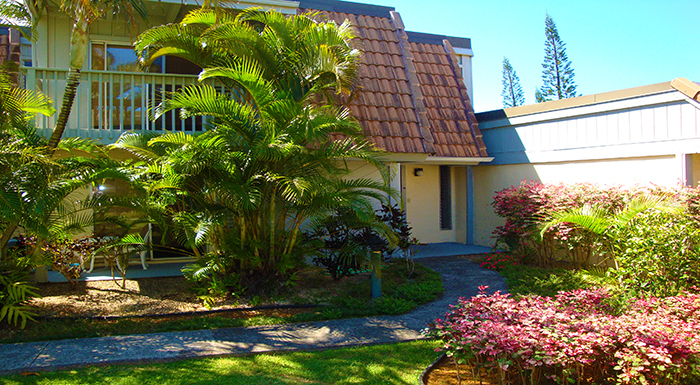 Puamana is located right next to the Westin Hotel on an ocean bluff in Princeville on the north shore of Kauai. 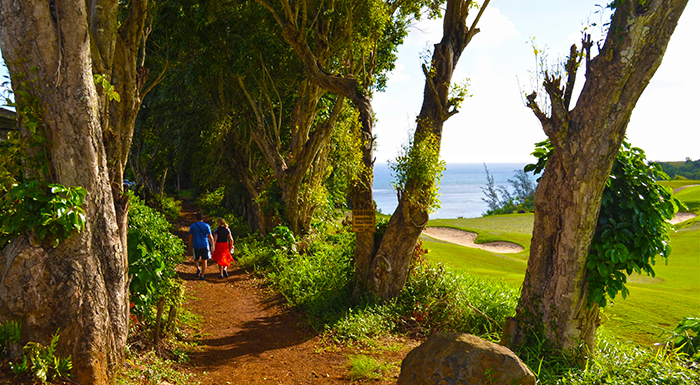 Surrounded by blue seas and sculpted emerald mountains where waterfalls abound and conveniently located between the Champion Prince and 27-hole Makai golf courses. 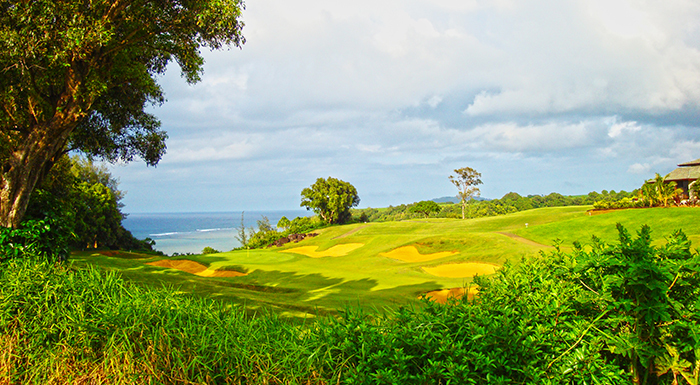 Princeville is world renown for it's number 1 rated golf course in Hawaii with some of the most outstanding views that you will find at any golf course, ranging from ocean vistas to a waterfall just behind one of the greens. You are steps away from a park with a bike / jogging path, a trail to secluded beaches including a snorkeling beach, restaurants, a shopping center, a grocery store, and less than a mile from Hanalei Bay Resort and the Princeville Hotel for fine dining and shopping; as well as, awesome sunset views of Bali Hai. Spacious, newly upgraded two bedroom, two bathroom, two-story corner end unit Sleeps Six. Unit has Twin Beds in second bedroom and a pull-out sofa sleeper in the living room. 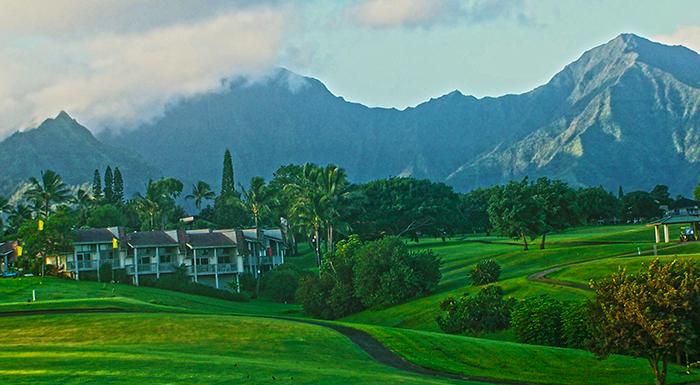 We offer you our completely furnished 2 Bedroom and 2 Bath Condo, on the North shore of Kauai in Princeville Resort, and situated between Champion Prince and 27-hole Makai golf courses.